One of the ironies in the genealogical world is the fact that though Narciso Z. Claveria will always be associated with family history research for those with Filipino roots, his own genealogy has not really been explored. In fact, before I realized how far-reaching the Claveria decree has been in terms of Filipino genealogy I wasn't even aware of the name of his parents or if he even had descendants today. For someone whose Renovacion de Apellidos decree made genealogy research easier, not one Filipino researcher has really bothered to trace his family. So today, on the anniversary of his death, let us get to know the man whose decree will always influence Filipino family history research. Although this has nothing to do with Filipino genealogy I believe that it is about time that we pay our due to the person who systematized our naming culture. This is also another exercise of using the internet in tracing a family tree. 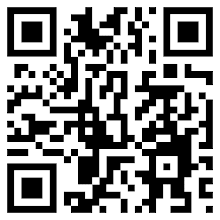 Of course, I had about two months to work on this as I wanted to make sure that the information I used were reliable. Although I made use of newspaper articles, too, even these were digital copies and thus still count as a product of the internet. Narciso Claveria y Zaldúa was born in Gerona, Spain on May 2, 1795, the son of Antonio María Nicolas Jose de Claveria y Portu and Maria de Jesus de Zaldúa y Murrieta. His father, Antonio de Claveria, was the Colonel of the Royal Artillery Corps as well as the Political and Military Governor of the city of Huesca, located in Aragon. Probably a tradition in the family, Narciso was officially welcomed into the Army on November 22, 1801 when he was only six years old. Due to his military upbringing it wasn't surprising that his wife would be from a military family, too. He married Anna de Berroeta y Villar on December 12, 1831. Anna was born in Cartagena de Indias (now Colombia) on April 9, 1808, the daughter of Manuel de Berroeta y Ozaeta and Ana Sanz del Villar. Anna's father was the Captain of the Royal Navy. He followed in his father's footsteps by entering the Military Academy of Segovia when he was 14 years old. In 1813 he was assigned to the Andalusian army and participated in military actions during the siege of Pamplona in 1814. Although he died at the relatively young age of 56, he nevertheless lived a full life. Throughout his long and distinguished career he held several important positions that included being the Captain General of Navarre's Tenth Military District, the Chief of the General Staff of the Central Army, Captain General of Aragon's Sixth Military District, and later the Governor, Captain General, and President of the Philippine colony. Clavería, who by this time held the title of Lieutenant General, arrived at the port of Manila on the evening of July 13, 1844, aboard the British ship Margaret and was accompanied by one of his children, an aide, Joseph Roche, and a servant. His wife followed days later. He landed on the next morning at the King's Wharf, given military honors befitting his status, given temporary accommodation, and received the congratulations of all the dignitaries of the city. He was given a banquet that very night and he officially took possession of his position as Chief Executive of Las Islas Filipinas on the 15th. At the start of his official working day on the 16th Narciso Claveria gave two impassioned speeches. He first addressed the military and told them that their exploits were well known in the Peninsula. He then reminded them to fulfill their duties to the public. After this he addressed the general public and told the colony that compared to other colonies the Philippines appeared to be more prosperous. He finished his speech by expressing the hope that by the end of his term the Philippines would become a rich, flourishing, and tranquil state. Based on most of the existing documents is becomes very clear that Claveria was a man who was very cultured. hard-working, courteous, and extremely honest. The slightest concerns in the colony caught his attention and it is said that he invited different people from different walks of life to join him at his table so he could get a better feel of the colony. He also believed that in order to understand the diversity of the people and problems facing the colony he needed to see them firsthand, and thus he was perhaps the most travelled Governor-General throughout the 333 years of Spanish occupation of the Philippines. One of the most pressing issues Claveria faced was the problem of piracy in the south of the colony. While there were many Spanish defeats from pirates during his term he also had many victories. One of these was a military expedition to the Isle of Balanguingui located in Joló, Sulu Achipiélago, Balanguingui was always considered as one of the main pirate havens, and this victory against the pirates set back piracy in that area for the next few years. This victory was also the primary basis of the conferment of the title of Count of Manila to Claveria, which was granted by the Spanish crown on July 29, 1848. Overall, Claveria's exploits against the pirates were lauded in Spain and even some of the European powers which had possessions in nearby colonies congratulated Claveria for his victories. What was more amazing about Narciso Claveria was that he personally led his troops in these expeditions; unlike many of his predecessors or successor, including modern Philippines's leaders, Claveria was not afraid to lead his troops against the enemies of the colony. Historians agree that this is another trait that made Claveria a very interesting and deserving leader. Other than military exploits, and as already mentioned in previous articles in this blog, Claveria also managed to correct some cultural and social concerns. This included the correction of the Philippine calendar, which was a day behind the rest of the world, as well as the decree on adopting surnames for all indios. He also empowered the alcade mayores as well as created the first social security system for administration officials. True to his cultured nature his regime also saw the establishment of several newspapers. Because of his work load, his unending zeal to spread prosperity in all parts of the colony coupled with his ceaseless travels and the climate of the Philippines, Claveria's health took a disastrous turn. By 1849 Claveria was said to be quite emaciated and very sick, and the Spanish crown allowed him to return to Spain to recuperate. Amazingly, Claveria first decided to go to the sea and hoped this would cure him. He travelled the various provinces in the Visayas but this only contributed to his deterioration. He declined to return immediately and instead asked that he first be certified by a medical commission to see if his declining health could be cured in the Philippines. The medical team concluded that he would need the mild climate of the Spanish Peninsula to heal and continued stay in the warm, moist envirnment of the colony would seriously jeopardize his life. Before departing the colony he made sure that there would be a smooth transition of power and he appointed Antonio Ma. Blanco as interim Governor-General. Claveria, together with his family, left the Philippines on Christmas day of 1849 aboard the steamer Reina del Castile, first stopping by Singapore then on a Suez route to Marseille and finally to Madrid, where he was presented to the Queen. Although he became a Senator for life, he died on June 26, 1851, barely two years since returning to Spain, having served 49 years in the army. At the time of his death he was also awarded the Knight Grand Cross Order of Isabel of the Catholic, San Fernando & San Hemergildo while his widow Ana was a Dame of the Order of Maria Luisa. Many Filipino historians throughout the years have disparaged historical figures who bore titles of nobility, usually writing them as self-styled. Claveria was one of these accused of calling himself Conde de Manila. However, patents of nobility were indeed granted to Narciso Claveria on July 29, 1848, giving him the right to bear the title of Count of Manila, a title that still exists to this very day. One interesting trait of the Claveria family is their small size as a family. Narciso Claveria, for instance, had just one sister and 2 brothers. Narciso and his wife had three children, 2 girls and a boy. This son, Jose Claveria y Berroeta, succeeded Narciso as Conde de Manila in 1851 upon Narciso's demise. Jose Claveria, the 2nd Count of Manila, was born on August 31, 1839. He married Basilia Matilde Palacio y Lopez and they had a son, Narciso Claveria. After Basilia's death Jose remarried to Maria Salome Sanchez Molero La Torre and they had one child, Luisa Claveria. Jose's only son, Narciso, became the 3rd Count of Manila upon the death of Jose Claveria on October 17, 1897. Narciso II became a very famous architect and his most famous work was the Toledo Railway Station, considered as one of the historical architectures if the early 20th century and is now touted as one of the most beautiful stations in Spain. Narciso married Carmen de Babe y Roda de Porras and had four children: Jose, Manuel, Matilde, and Ana Ignacia. The next two Condes de Manila were the brothers Jose and Manuel de Claveria. It does not appear that they were married or had children. Jose took over the countship in 1935 upon the death of his father and bore the title until his own death in 1969. He was then succeeded by his brother, Manuel, who only received the title in 1972 and held this title until his death in 1998. His nephew, Jose Roda-Claveria, succeeded to the title in 2000. With Manuel's death the direct male lineal descent of the Countship of Manila ended. 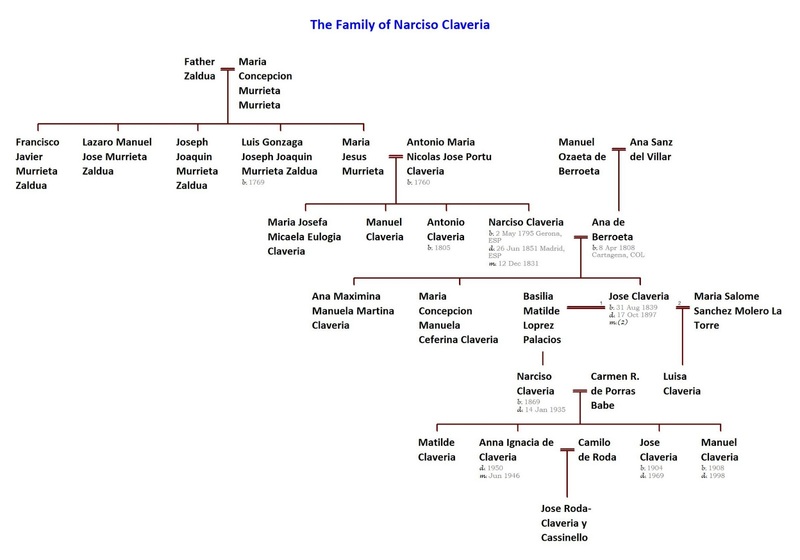 The title was then passed on to the nearest male relative of Manuel, Don Jose Roda-Claveria y Cassinello, the son of Ana Ignacia de Claveria, Manuel's sister. Ana Ignacia was married to Don Camilo de Roda, an engineer whose family was also of the Spanish nobility. Don Jose still holds the title of Count of Manila today. 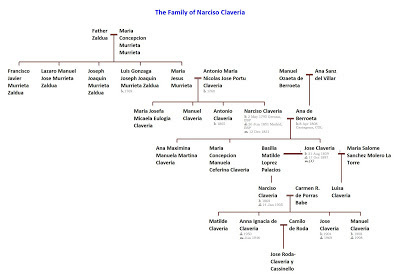 View the Claveria family tree here. ABC Madrid, 1916, 1946, and 1988. Miguel Luque Talavan, Narciso Clavería y Zaldúa: Gobernador y Capitán General de las Islas Filipinas (1844-1849), Universidad Complutense Madrid, 1997. It is an autobiographical memoir that he wrote in jail in France in 1823, reporting his family about his hard experience during the civil war in Navarre, just after the Independence war againt the french troops and before the civil carliste war. It was kept by Clavería´s family until his granson, Capitán Francisco Uriarte y Clavería, gave it in 1913 to the military magazine “Memorial de Artillería o Colección de artículos y memorias sobre diversos ramos del arte militar “, Serie VI, Tomos 3 y 4, año 1913. It´s name: “Recuerdos de un liberal prisionero de los apostólicos. Un año de mi vida. 1822-23”. On it Narciso Clavería seems to be an inteligent, brave, human, well-balanced and sensible man.